A Cup Of Coffee Everyday Can Keep Colon Cancer At Bay- How It Lowers Colon Cancer Risk? Cancer in any form is Dreadful. Not only because the word itself terrorizes our mind, the visuals we recall are too scary. Once it sets in,it is very difficult to get rid of it in totality and one has to surrender to whatever treatment methods are available. Injuries to nearby organs, side effects, trauma to the body and mind as a whole plus social stigma are some realities that stay with the victim for the rest of his/her life. Coffee contains many elements that contribute to the overall colorectal health and may explain the preventive properties. coffee can act as antioxidants, limiting the growth of potential colon cancer cells. Melanoidins generated during the roasting process have been hypothesized to encourage colon mobility. Diterpenes may prevent cancer by enhancing the body’s defense against oxidative damage. Coffee can prevent Colon Cancer. The incidence of colon cancer is increasing every year, and more than 40,000 people in UK are diagnosed with this cancer. Some of the most remarkable reasons that lead to colon cancer are diets full of fatty acids and heavy consumption of red meat. Colon cancer patients who were coffee drinkers had a far lower risk of dying or having their cancer return than those who did not drink coffee, with significant benifits starting at two to three cups a day, a new study found. patients who drank four cups of caffeinated coffee or more a day had half the rate of recurrence or death than non-coffee drinkers. But, the researchers caution, cancer patients should not start ordering extra tall coffees. The study, the first to report such findings, does not prove a cause and effect relationship between coffee drinking and a lower risk of colon cancer recurrence. As other, experts note, there may be differences between heavy coffee drinker and abstainers that the research was not able to account for. 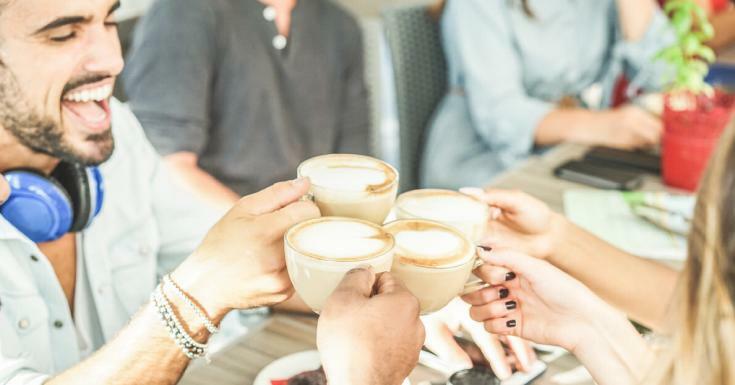 In recent years, many studies have pointed to coffee’s health benefits, suggesting coffee may protect against Type 2 diabetes, reduce overall deaths and perhaps even help protect against dementia. Other studies have suggested coffee may reduce the risk of certain cancer, including colon cancer. The benefits are generally attributed to coffee’s antioxidant and anti-inflammatory properties. Regular consumption of caffeinated coffee may help prevent the return of colon cancer after treatment and improve the chances of a cure, according to a new, large study from Dana-Farhar Cancer Institute that reported this striking association for the first time. Drinking coffee is associated with lower risk of colorectal cancer, and more coffee consumed,the lower the risk. Moderate coffee consumption, between one or two servings a day was associated with a 26 percent reduction in the odds of developing colorectal cancer after adjusting for known risk factors risk of developing colorectal cancer continued to decrease to up to 50 percent when participants drank more than 2.5 servings of coffee each day. The indication of decreased risk was seen across all types of coffee, both caffeinated and decaffeinated. Prior research has suggested that coffee may protect against CRC due to its anti-inflammatory and insulin-sensitizing properties, and the anti-carcinogenic substances it contains including polyphenols, diterpenes, melanoidins, and antioxidants, “which may be beneficial in improving CRC survival by ameliorating systemic disturbances due to metabolic reprogramming of cancer or by promoting an anti-carcinogenic microenvironment that slows down tumor progression”. Coffee drinkers had a lower risk of cancer coming back and a significantly greater survival and the chance of a cure. Most recurrences happen within five years of treatment and uncommon after that. In patients with stage III disease, cancer has been found in the lymph nodes near the original tumor but there are no signs of further metastasis. These patient have about a 35 percent chance of recurrence. It adds to a number of recent studies suggesting that coffee may have protective effects against the development of several kinds of cancer, including reduced risk of postmenopausal breast cancer, melanoma, liver cancer, advanced prostate cancer. coffee lovers will be thrilled with this news. A recent review finds that taking in high amounts of coffee or sugared soda does not appear to raise colon risk. Earlier research findings have been murky where coffee and cancer risk are concerned, though sugared sodas have been reliably linked to obesity and other health problems that are thought to increase the risk of colon cancer. In the latest review, researchers evaluated 13 studies including more than 730,000 subjects from all over the world. The studies lasted from as few as 6 to as long as 20 years. Of the subjects, more than 5,600 were diagnosed with colon cancer. Can coffee Lower the Risk of Colon Cancer’s Return? 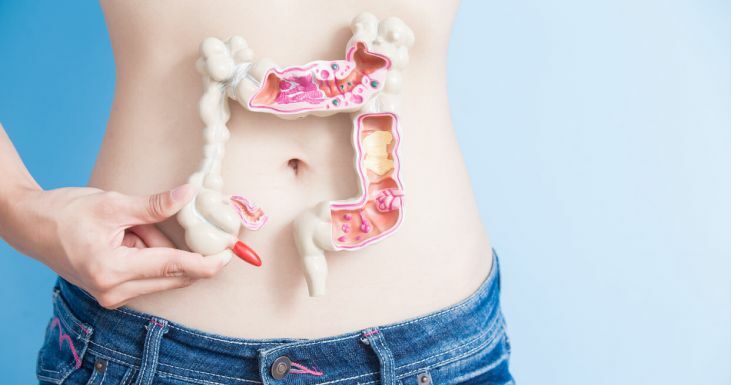 Colon cancer rates very widely between countries, and experts suspect that lifestyle factors may well play an important role. Nor did drinking more than 18 ounces a day sugar-filled sodas, though these beverages have been linked to increases in risk factors for colon cancer (such as being obese and having diabetis), there’s been little direct research on the association. The researchers note that the number of heavy soda drinkers in their work was small, only 2% of the total, and this may well have impacted the results. Surprisingly, there was a small but respectable boost (28%) in colon cancer risk for heavy tea drinkers (more than 4, eight-ounce cups of non-herbal tea/day). This too, the researchers caution, requires further study as there were not large numbers of subjects who drank that much tea. The study included nearly 1,000 patients who filled out dietary questionnaires early in the study, during chemotherapy and again about a year later. This “perspective” design eliminated patients need to recall their coffee-drinking habits years later a source of potential bias in many observational studies.